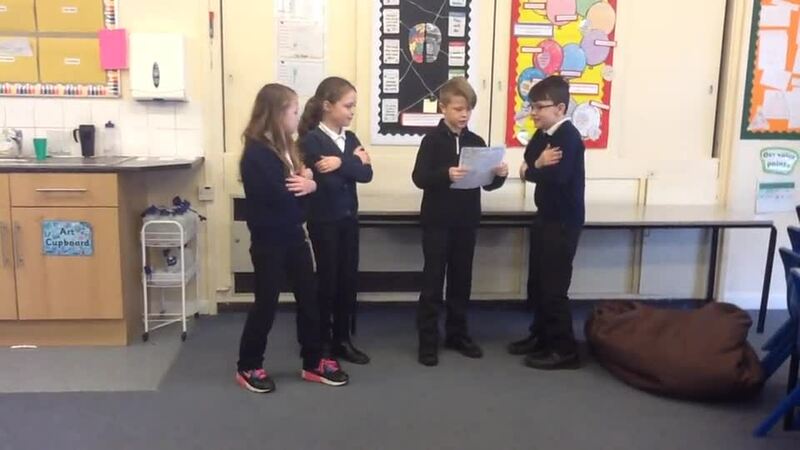 Our last topic of the year was Traders and Raiders, we learnt the life stories of King Arthur and King Alfred. We drew Viking Longships and even made our own brooches out of cardboards and paper mache. To kick off Summer term, we had a topic called....Burps, Bottoms and Bile....eewwww gross! We learnt all about our digestive system starting from our teeth that chew to the why we burp or fart. It was particularly disgusting and messy when it came to experiments...look for pictures below. Spring One term was called 'Blue Abyss' which means we had been researching about the strange and wonderful creatures that live in our seas and oceans. We visited the Blue Planet and had some extraordinary homework examples. Please look below for photos of our amazing trip. 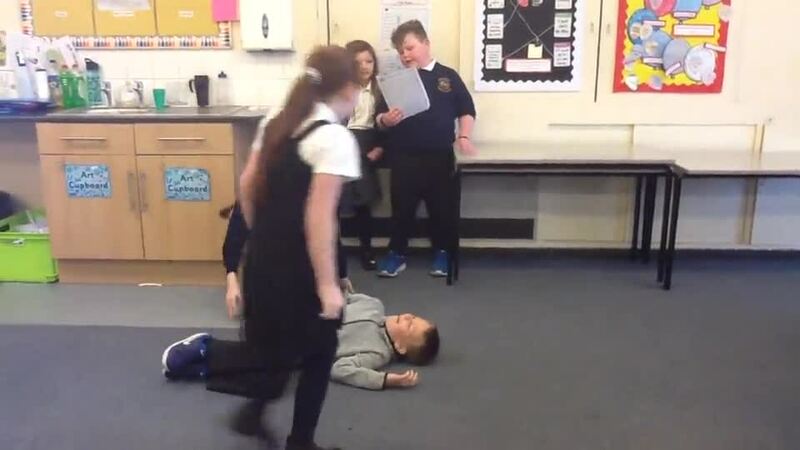 In our first term, we did so many exciting things related to our topic 'I am Warrior'. 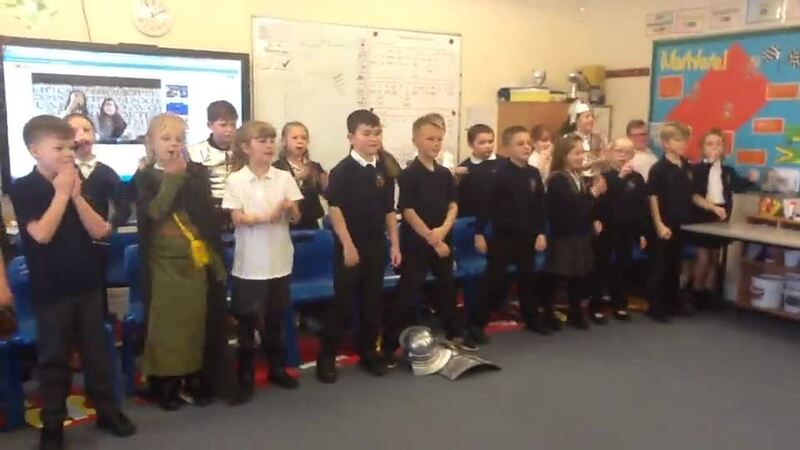 Have a look below for some pictures and videos of our exciting adventures as Roman Soldiers. Another tooth adventure was to take pictures of our teeth and then draw fillings, cavities, plague and other nasty things that could happen to our teeth and imagine how painful and sad that would be. Can you spot Miss Musson's attempt? How clean are your teeth? Miss Martin asked Year 4 to bring in their toothbrushes and this is why. We brushed our teeth for the recommended 2 minutes and then used a special pill that dyes your plague. Pleased to say we did a good job at cleaning our teeth after the pill dyed our tongues and teeth dark/purple! This experiment was about seeing if we could make gas, just like our farts, with just a sandwich bag, bread, beans and some water. 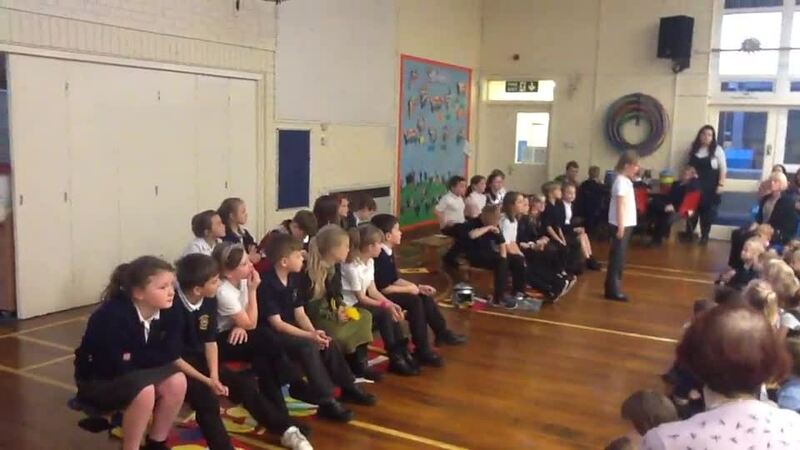 Have a look at the disgusted faces from some Year 4s in our gallery below. We made our own dream catchers, which one do you think will work to catch the bad dreams? 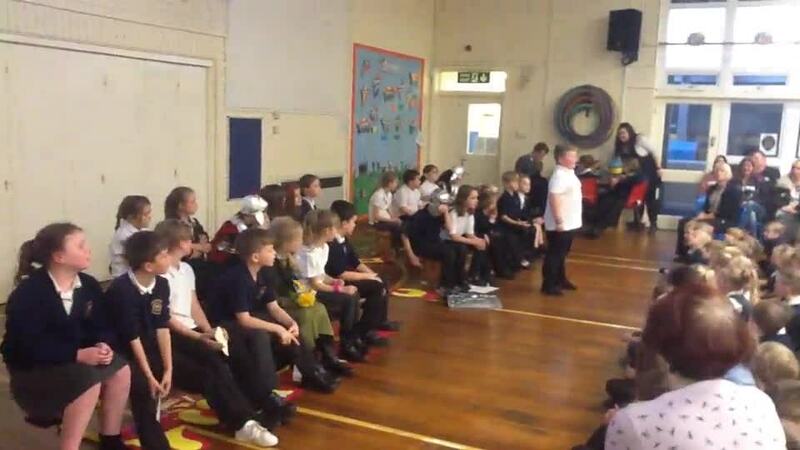 On Friday the 9th March, it was World Book Day and Year 4 made a massive effort. Thank you so much to the children and their families for working so hard! Miss Martin set Miss Musson the task to make our topic display board look like the USA flag, did she do a good job? On the 12th January, we learnt about the different layers of the ocean, starting with Sunlight, then Twilight and getting darker into the Midnight zone. Below this are the Abyss and the Trenches, but we focused on the top three layers for this experiment. As you can see, we used blue food colouring, water and oil to make our own ocean layers. It was very messy but good fun! WOW! Look at our Topic display after only one week back. So much homework including beautiful pictures and interesting facts, it is wonderful to see Year 4 so engaged. Please look below for some closer pictures of individual children and the ever growing board! 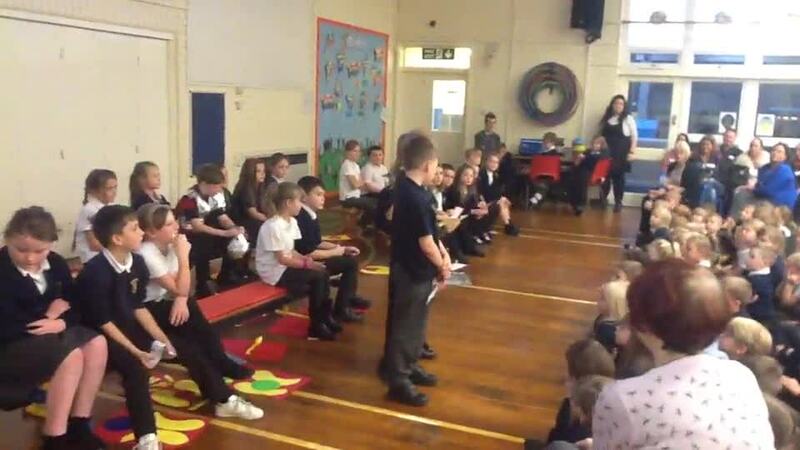 On the 13th December, we experimented with some strange substances that reacted differently to what we expected. First some sand that actually repels the water and stayed dry...called hydrophobic. Next, another type of sand that was simply called magic sand and so it was! If you played with it, it stuck together like wet sand meaning you could build shapes out of it. But then you could sprinkle it back into the normal beachy stuff. Finally, we mixed together cornflour and water which made a slimy mess. When slowly poked, your fingers could go into it but when some pressure was applied, it was rock solid. We had so much fun playing in it...take a look at the weird substance. Following melting ice cubes experiment last month, we expanded it to learning about evaporation and condensation. Look at the pictures below to see how holding the ice cubes above hot water fogged up the clingfilm. This took place on the 11th of December. 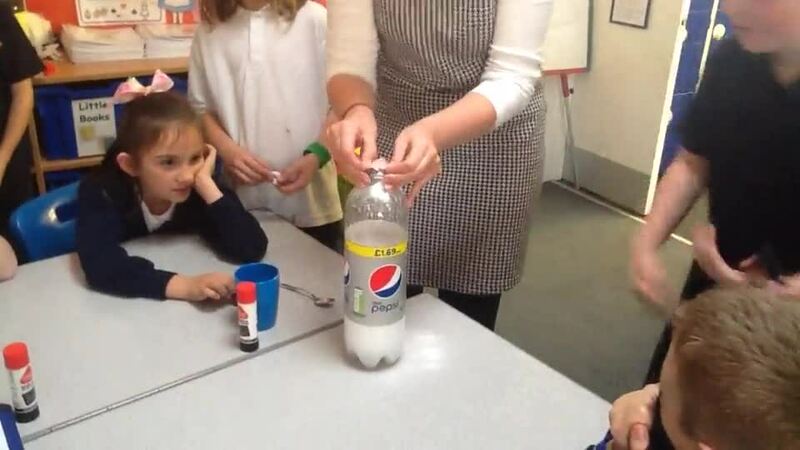 On the 8th of December, we tried an experiment Miss Musson asked Miss Martin to do about dissolving Candy Canes. Take look at the slideshow to see how well it went. Don't worry, we didn't eat the ones you see in the water, we ate the spares. There were a lot of sugar filled smiles. On the 17th of November. 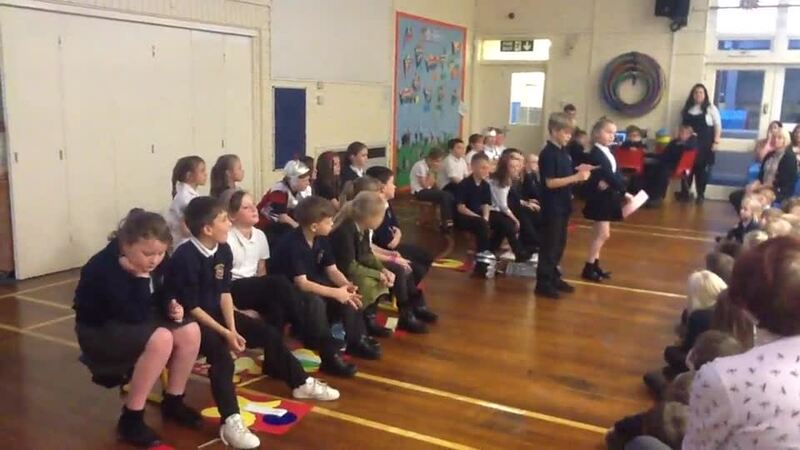 it was Children In Need and Year 4 dressed up just for the occasion, raising lots of money for the charity too! 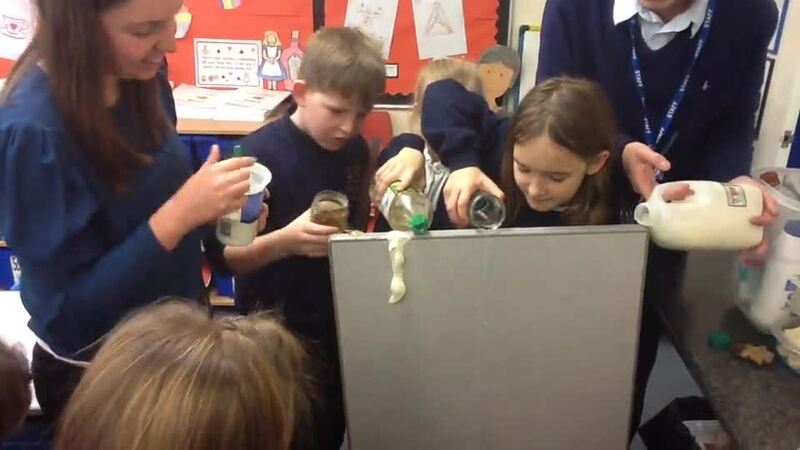 On the 13th of November, we had a science experiment that was rather messy (as usual). We had to predict and test a variety of liquid materials to find out which one was viscous (very sticky!). We had oil, yogurt, honey, water and milk...watch the video below to see which material won the messy race! We have even had some potions appearing the classroom, ranging from Frog juice to instant make up application. Do you dare to try some? Speaking of potions, have a look at our gallery of when we made our own by using our vivid imaginations; red food colouring became dragon's blood, a handful of peas became eye of newt and strands of spaghetti turned into an evil witch's hair. What else did you have in your potion? During one science experiment, we discussed the three states; gas, liquid and solid. We separated into two teams and had a race to see who could fill up a balloon quicker with gas made from mixing baking powder with vinegar. As you can see from Jack's face, it was very smelly! 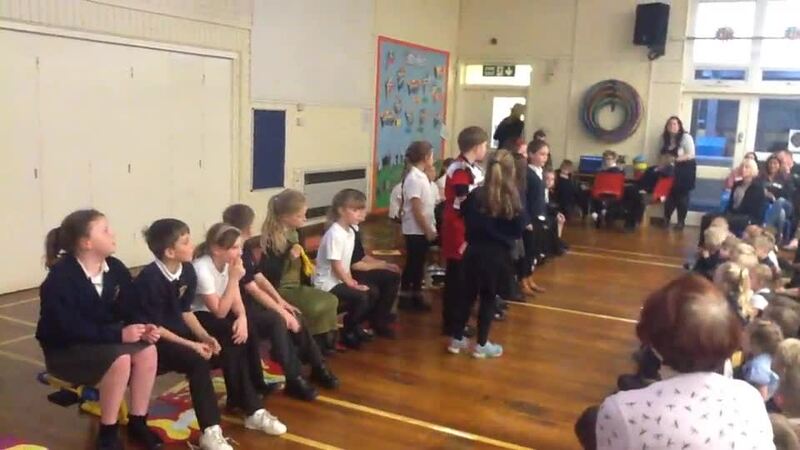 We even performed a class assembly in front of the whole school and Year 4 parents including singing some songs that helped our learning and some amazing acting. 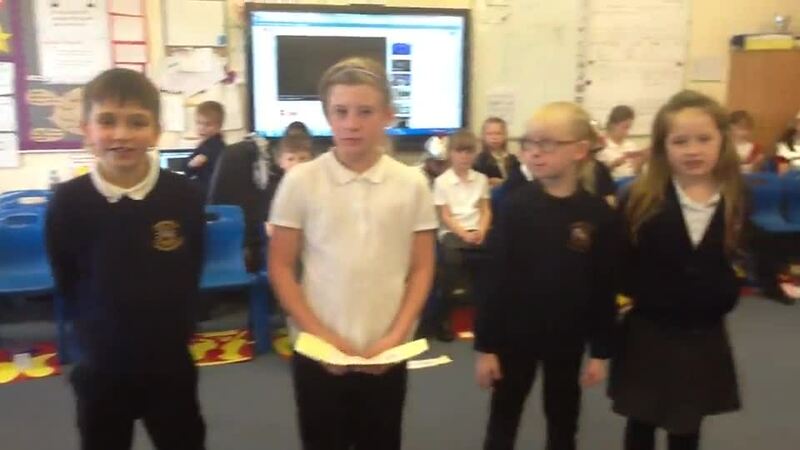 This is the introduction and the first song "Just Like A Roman"
Now it is time for our Roman Numeral song that proved to be a hit with Mrs Simmonds! Finally, we have the questions and answers section before our bow. 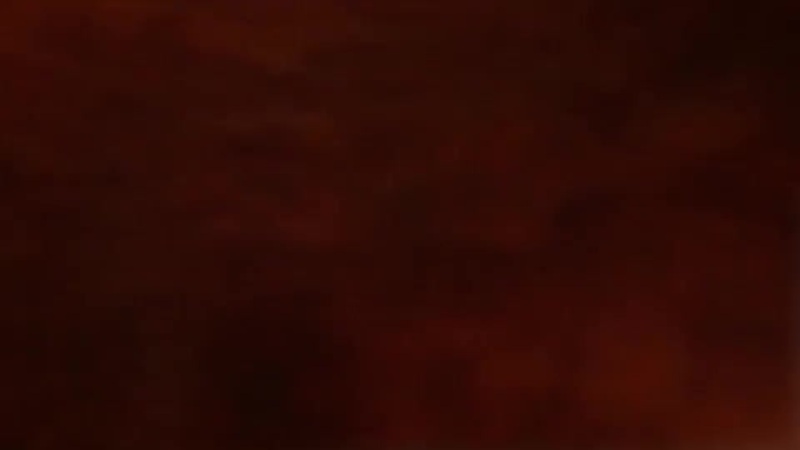 This is our first song, only the chorus...Just like a Roman! So now we have a fantastic collection of things on display outside our classroom and in the shared area! We each wrote a fantastic soliloquy about the night before battle that was then put onto tea stained paper to make it look old and found two thousand years later. Then some mosaics are on display, can you tell what they represent? Only the richest Roman would have decorated their homes with this medium of art. Miss Musson also put up our Roman soldier pictures mixed with battle formation to create a unique display that shows off our fierce warriors. Finally, we got to split into two smaller groups and explored what it would be like to be an archaeologist (a person who excavates artefacts) and then had a peek at the castle's collection of Roman findings. One eventful day we made Roman bread. It was a simple recipe and we had lots of fun kneading the dough until it was ready to prove and then into the oven. Once baked, we all got to try some with either butter or honey (or without either if you didn't want to). Then some lucky adults around school got to try some, Mrs Drayton went back for seconds (and thirds). It was DELICIOUS! In an afternoon topic session, we built our own catapults to understand how the Romans used their weapons. Have a look at some of the pictures and figure out how we did it with only some rubber bands, sellotape, lollipop sticks and a plastic spoon. One of our science experiments was finding out about what the Romans used as toilet paper....EWWWWW!!! Don't worry, we used Nutella, not the real stuff. We predicted which material (toilet paper, leaves, moss or a sponge) would work better and explain why. What do you think would be the best at cleaning it up? Here is a video of our battle formation session! This is the first gallery displaying our brave Roman soldiers. Some of us chose to grimace and scowl to make a scary battle face to chase away those pesky Celts!